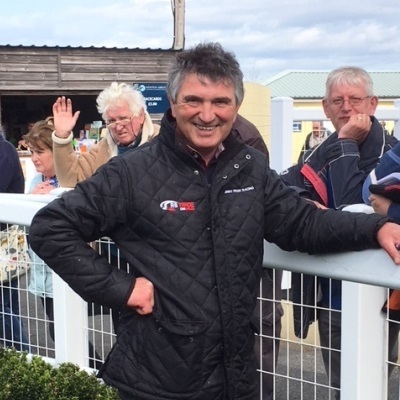 The name of Jimmy Frost has been synonymous with West Country racing for more than 40 years. He rode his first winner at the tender age of just 14 at a Point to Point at Lemalla in Cornwall in 1972 and his first success under rules came two years later at Taunton. 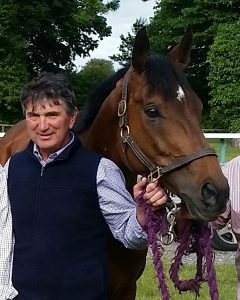 During a 30-year career in the saddle, he rode some 500 winners including the 1989 Grand National on Little Polvier and the 1991 Champion Hurdle on Morley Street. He also rode to victory twice in the Breeders Cup Chase in Maryland, USA. 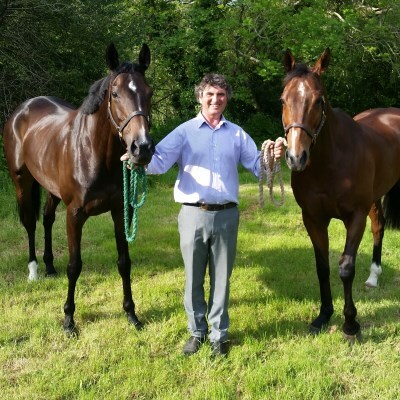 Jimmy’s Father, Richard trained from the family home near Buckfastleigh and Jimmy took over the licence 16 years ago upon Richard’s retirement and the steady flow of winners has continued. 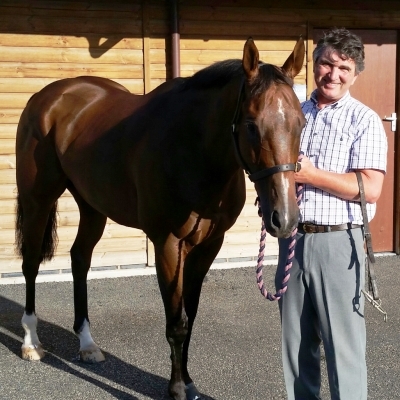 The family connections also continue via his retired National Hunt jockey son Hadden, who won numerous races including The Pertemps final at The Cheltenham Festival on Buena Vista in 2010 for David Pipe. Hadden is now based in Florida, USA working with show jumpers. 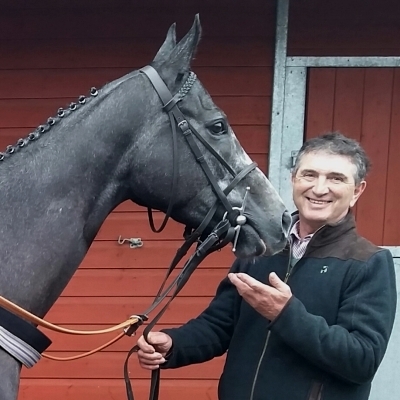 Jimmy’s daughter Bryony is a very successful professional jockey based with Paul Nicholls. After an idyllic childhood, first spent on her babysitting donkey Nosey, followed by hunting across Dartmoor aged 4, at the age of nine Bryony started her very successful Pony Racing career during which she achieved 50 wins, as well as being Devon and Cornwall Champion several times. On the day of her 16th birthday, she rode in her final Pony Race and her first Point to Point. 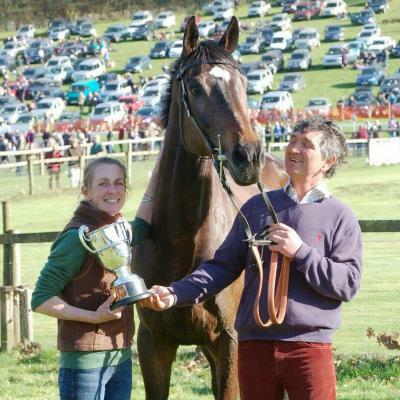 In 2012/13 Bryony was National Novice Lady Point to Point Champion as well as Devon and Cornwall Novice Lady Champion. In 2013/14 she won her first Leading Lady Rider Championship for Devon and Cornwall, and in her last Point to Point season, 2016/17, again won Leading Lady Rider for Devon and Cornwall, as well as being runner up in The National Lady Point to Point Championship. 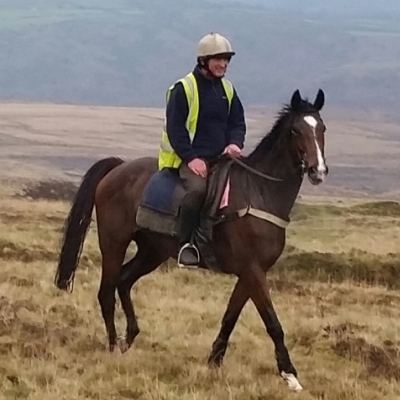 During her very productive Point to Point career Bryony won an amazing 56 races as well as nine Hunter Chases. Bryony had a prolific time riding as an Amateur and in 2015/16 was the National Lady Jockeys N.H Champion. At Cheltenham March 2017 she won The Foxhunter on Pacha Du Polder for Paul Nicholls. 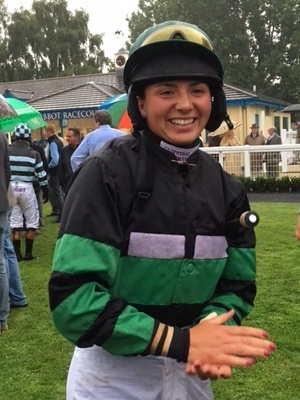 Since turning professional in July 2017, Bryony has had some amazing opportunities and big wins, including winning seven out of eight races on her first professional winner Black Corton. 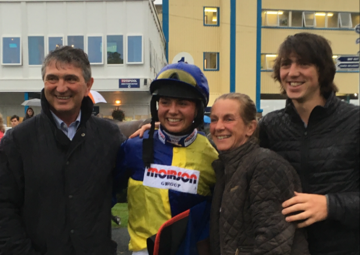 As well as riding in and winning her first Grade 1 race on Black Corton in The 32Red Kauto Star Novices Chase at Kempton on Boxing Day, Bryony was lucky enough to win The Badger Ales at Wincanton for the sponsors, riding Present Man. She also won the Ladbrokes Handicap Hurdle on Old Guard at Newbury. In January 2018 she won The Betfair Classic Chase at Warwick with an amazing ride on Milansbar, as well as a very impressive 17-length win on Frodon in The Crest Nicholson Chase at Cheltenham. Bryony first started work as a Pupil Assistant in the summer of 2016 and is now Professional Jockey with Paul Nicholls at Ditcheat. Bryony rides all the club horses unless she is already booked for another ride.